Sur une île de la mer d'Oman au large de Bombay, la « cité des grottes » constitue un ensemble rupestre typique du culte de Shiva où l'art de l'Inde a trouvé l'une de ses expressions les plus parfaites, notamment dans les gigantesques hauts-reliefs de la grotte principale. تشكّل مدينة الكهوف الواقعة على جزيرة في بحر عمان في عرض بمباي مجموعةً صخرية نموذجية لعبادة الإلهة شيفا حيث وجد الفنّ الهندي إحدى أعظم تعابيره، لاسيما المنحوتات الناتيّة الضخمة التابعة للكهف الرئيس. Этот «Город Пещер», расположенный на острове в Аравийском море близ Мумбаи (Бомбея), содержит целое собрание наскального искусства, посвященного культу бога Шивы. Здесь искусство Индии получило одно из своих наиболее совершенных выражений, особенно на огромном горельефе в главной пещере. Situada en una isla del mar de Omán, frente a la costa de (antes, Bombay), la “ciudad de las grutas” es un conjunto monumental rupestre característico del culto a Siva. El arte indio ha logrado aquí una de sus expresiones más perfectas, sobre todo en los gigantescos altorrelieves que ornan la gruta principal. Het eiland Elephanta (Gharapuri) – de Grottenstad – ligt op ongeveer 10 kilometer van Mumbai aan de oostzijde van de haven. Het eiland dankt zijn naam aan de enorme stenen olifant die er gevonden werd door Portugese zeevaarders. Het eiland in de Zee van Oman bevat een verzameling van rotskunst verbonden met de Shiva cultus. De zeven grotten met hun versierde tempels en beelden uit de hindoeïstische mythologie getuigen van een verdwenen beschaving. Op deze plek vindt men één van de meest perfecte uitingen van de Indiase kunst, in het bijzonder verbeeld door de enorm hoge reliëfs in de belangrijkste grot. The Elephanta Caves are located in Western India on Elephanta Island (otherwise known as the Island of Gharapuri), which features two hillocks separated by a narrow valley. The small island is dotted with numerous ancient archaeological remains that are the sole testimonies to its rich cultural past. These archaeological remains reveal evidence of occupation from as early as the 2nd century BC. The rock-cut Elephanta Caves were constructed about the mid-5th to 6th centuries AD. The most important among the caves is the great Cave 1, which measures 39 metres from the front entrance to the back. In plan, this cave in the western hill closely resembles Dumar Lena cave at Ellora, in India. The main body of the cave, excluding the porticos on the three open sides and the back aisle, is 27 metres square and is supported by rows of six columns each. The 7-metre-high masterpiece “Sadashiva” dominates the entrance to Cave 1. The sculpture represents three aspects of Shiva: the Creator, the Preserver, and the Destroyer, identified, respectively, with Aghora or Bhairava (left half), Taptapurusha or Mahadeva (central full face), and Vamadeva or Uma (right half). Representations of Nataraja, Yogishvara, Andhakasuravadha, Ardhanarishwara, Kalyanasundaramurti, Gangadharamurti, and Ravanaanugrahamurti are also noteworthy for their forms, dimensions, themes, representations, content, alignment and execution. The layout of the caves, including the pillar components, the placement and division of the caves into different parts, and the provision of a sanctum or Garbhagriha of sarvatobhadra plan, are important developments in rock-cut architecture. The Elephanta Caves emerged from a long artistic tradition, but demonstrate refreshing innovation. The combination of aesthetic beauty and sculptural art, replete with respondent Rasas, reached an apogee at the Elephanta Caves. Hindu spiritualistic beliefs and symbology are finely utilized in the overall planning of the caves. Criteria (i): The fifteen large reliefs surrounding the lingam chapel in the main Elephanta Cave not only constitute one of the greatest examples of Indian art but also one of the most important collections for the cult of Shiva. Criteria (iii): The caves are the most magnificent achievement in the history of rock-architecture in western India. The Trimurti and other colossal sculptures with their aesthetic setting are examples of unique artistic creation. All the archaeological components in the Elephanta Caves are preserved in their natural settings. There is further scope to reveal archaeological material and enhance information by exposing the buried stupas. At the time of the listing the need was noted to safeguard the fragile site from nearby industrial development. Currently, saline activity and general deterioration of rock surface are affecting the caves. Management of the property would be enhanced through the adoption of a Conservation Management Plan to guide restoration and conservation works. The authenticity of the property has been well maintained since its inscription on the World Heritage List, despite certain repairs on the façade and pillars that have been carried out to ensure the structural stability of the monument. Besides the caves, Elephanta Island possesses archaeological remains from as early as the 2nd century BC and from the Portuguese period, as witnessed, respectively, by stupas buried towards the eastern side of the hillock and a canon located at its top. Moreover, the caves are preserved in the form of monolithic temples, sarvatobhadra garbhgriha (sanctum), mandapa (courtyard), rock-cut architecture, and sculptures. Since inscription, a number of interventions have been made to enhance visitors’ experience and to conserve the site. These include the construction of pathways, conservation of fallen and broken pillars, conservation of fallen and collapsed facades, construction of flight of steps leading to the caves from island’s jetty, repair to the Custodian’s Quarters, and setting up of a Site Information Centre. The property is protected primarily by the Archaeological Survey of India, which also undertakes the management of the Elephanta Caves with the assistance of other departments, including the Forest Department, Tourism Department, MMRDA, Urban Development Department, Town Planning Department, and the Gram panchayat of the Government of Maharashtra, all acting under the various legislations of the respective departments, such as the Ancient Monuments and Archaeological Sites and Remains Act (1958) and Rules (1959); Ancient Monuments and Archaeological Sites and Remains (Amendment and Validation) Act (2010); Indian Forest Act (1927), Forest Conservation Act (1980); Municipal Councils, Nagar Panchayats and Industrial Townships Act, Maharashtra (1965); and Regional and Town Planning Act, Maharashtra (1966). 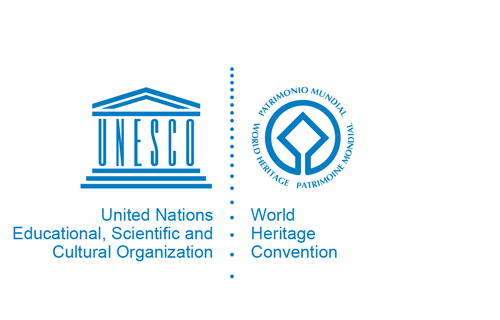 Sustaining the Outstanding Universal Value of the property over time will require completing, approving and implementing a Conservation Management Plan to guide restoration and conservation works; addressing saline activity and the general deterioration of the caves’ rock surfaces using internationally recognised scientific standards and techniques; safeguarding the property from nearby industrial development; and considering exposing the buried stupas. The restoration of some of the pillars that was carried out in 1960s needs to be dismantled and redone as cracks have developed. Additional resources (technical specialist advice) and funding are required to conserve this site and protect the archaeology.